Talvipäivän linnut. Birds of winter day. 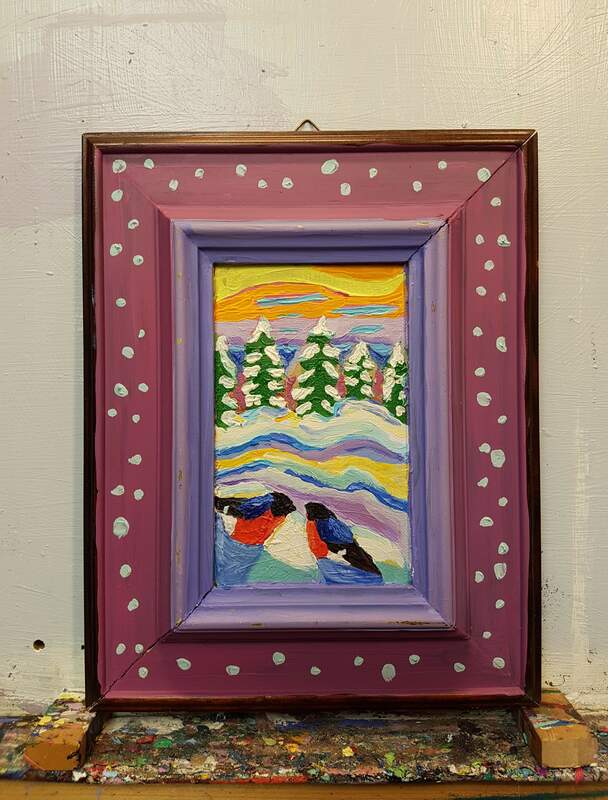 Painted on plywood, second hand frame.